In July 2016 the Byron hamburger chain colluded with Home Office officials in setting up immigration raids on their workforce which resulted in the arrest and detention of 35 of their workers. 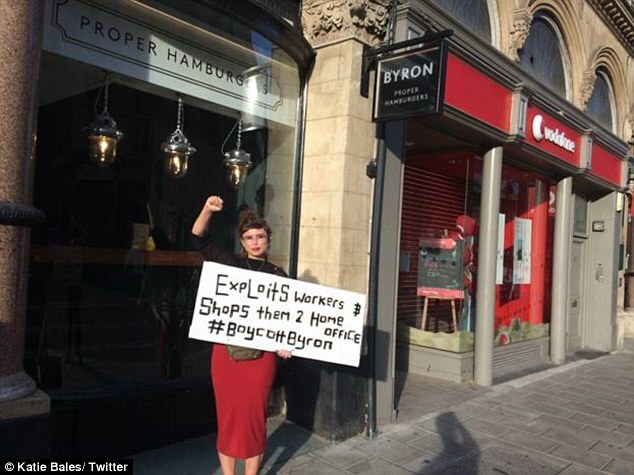 Following mass protests over their actions, Byron released a statement declaring that the firm ‘was unaware that any of our workers were in possession of counterfeit documentation’. Despite the fact that ‘vigorous right to work checks were carried out’, Byron claimed that ‘sophisticated counterfeit documentation was used’ by the workers meaning Byron had no idea that those individuals were without the right to work. Byron also claimed that they were under a ‘legal obligation’ to cooperate with the Home Office, suggesting that cooperation with Immigration enforcement was mandatory as opposed to voluntary. A recent report from Corporate Watch indicates that this type of collusion is not uncommon as immigration enforcement officials often use financial sanctions as a threat to coerce employers into helping with their investigative and arrest operations. The financial sanction referred to exists in the form of a ‘civil penalty’ which stands at £20,000 per worker that is found to be working ‘illegally’ without the right to work. Discounts are made however where employers cooperate with the Home Office. A £5,000 discount will be made for example, where employers report workers and a further £5,000 for active cooperation, a full list of these discounts can be found in the Home Office code of practice on the civil penalty scheme for workers.